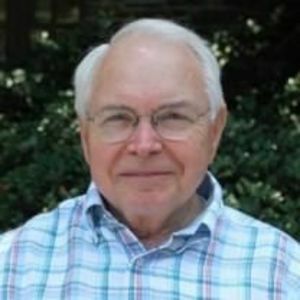 Dr. Sidney C. Adkins, husband, father, grandfather, Marine Corps Colonel, Vietnam Vet, businessman, college professor and administrator, dean of the business school at Queens University of Charlotte and Meredith College in Raleigh, passed away after a long courageous battle with cancer, January 18, 2018. He was born on February 15, 1938, in Wilkesboro, NC, to Walter Clyde Adkins and Roxie Rebecca Adkins. He graduated from Hudson (NC) High School in 1956, graduated from Appalachian State University in 1960, earned an M.Ed. in Counseling Psychology from Shippensburg State University in 1971, and an Ed.D. in Counseling Psychology and Higher Education Administration from the University of Virginia in 1973. Mr. Adkins also served his country in the US Marine Corps from 1960 to 1984, doing two tours of duty in Vietnam where he participated in six named missions and received the Meritorious Service Medal, the Combat Action Ribbon, the Vietnam Service Medal with Bronze Star, the Vietnam Gallantry Cross with two gold stars, a Bronze Star with Valor and Presidential Unit Citation, among other awards. He also served on the White House Executive staff from 1968 - 1971. He was a professor at the United States Naval Academy and at The University of North Carolina in Chapel Hill. He retired as a Lieutenant Colonel. Mr. Adkins then worked for Burroughs Corporation and Unisys, was the Dean of External Affairs at New York University, Dean of the McColl School of Business at Queens University of Charlotte and of the business school at Meredith college in Raleigh. Mr. Adkins also served on the Board of Advisors to the US Marine Corps University in Quantico, VA.
Mr. Adkins was preceded in death by his parents, Walter Clyde Adkins and Roxie Rebecca Adkins; sisters, Mildred Adkins Nelson and Ruth Adkins; and brother, Ray Adkins, all of Lenoir, NC. He is survived by his devoted wife, Jean Johnson Adkins; children, Scott Adkins and Julia Samuelson; six grandchildren: Adam Sidney Adkins, Ashley Adkins, Andrew Samuelson, Amy Samuelson, Abigail Samuelson and Allison Samuelson; and brother, Bruce Adkins. Mr. Adkins was a loving husband, father and beloved grandfather, an upright and honest man. He honored his parents, always wanted to help people and lived his life to be an example for others. He will be sadly missed. The funeral will be held at Colonial Baptist Church, 6051 Tryon Road, Cary, NC 27518 at 11am on Friday, January 26th. There will be a reception at the church immediately following and a graveside service at Oakwood Cemetery, 701 Oakwood Ave, Raleigh, NC 27601, at approximately 2pm.